The Stripe Payment gateway referenced on this page allows you to connect your Stripe.com account to Easy Digital Downloads. Learn more at the main Easy Digital Downloads website. In order to test the Stripe payment gateway, you will need to verify your Stripe account is in 'test' mode, and you will need to connect Easy Digital Downloads to your Stripe account. Navigate to Downloads > Settings > Payment Gateways and enable Test Mode. 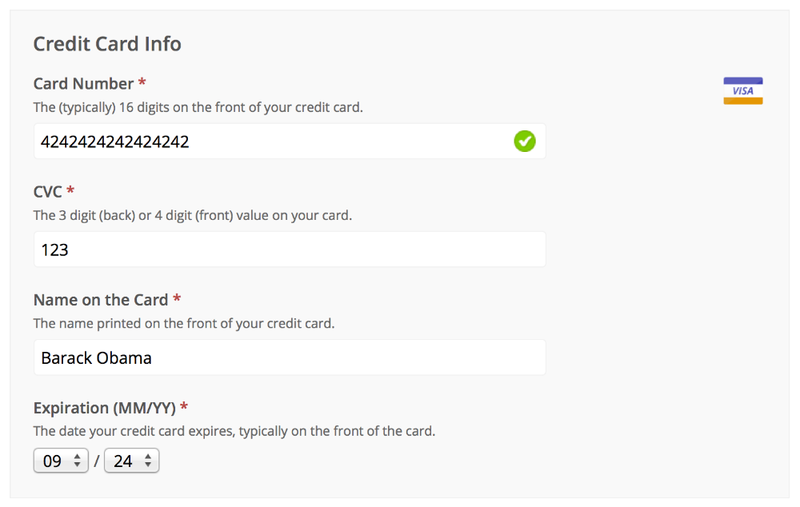 From within Easy Digital Downloads Payment Gateway settings area, enable the Stripe option. If Stripe does not show up under Payment Gateways, this means the Stripe extension has not been installed and activated. 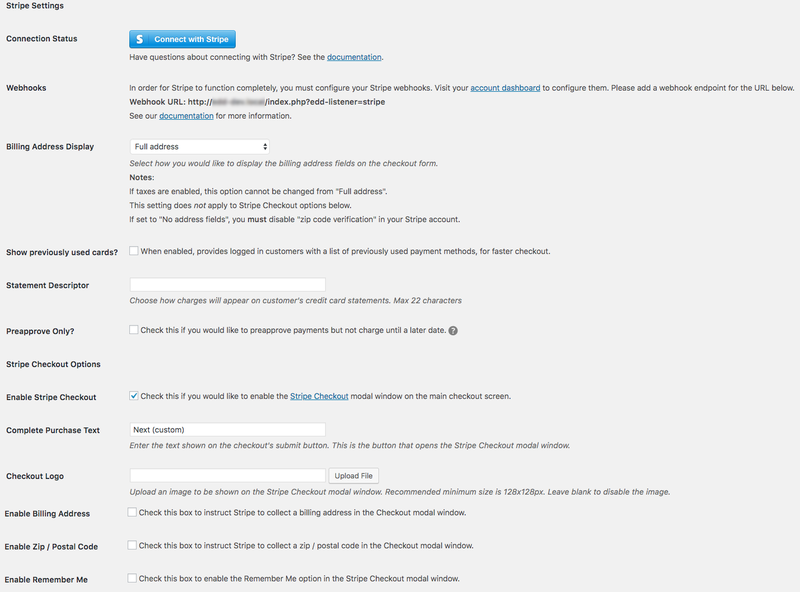 Connect Easy Digital Downloads to your Stripe account using the Connect with Stripe button. Now in test mode, add a product to your cart and proceed to checkout. You can use the card number 4242424242424242 with any CVC and a valid expiration date (any date in the future).